An agreement signed last June between Airbnb and the French government states that the rentals of main residences will get blocked after 120 days of rental per year in France from 1 January 2019. Airbnb has just published an initial list of 18 cities where the site will apply this block. There are for example Paris, Bordeaux, Lille, Lyon, Neuilly-sur-Seine, Nimes, Versailles or Nice. As soon as the property reaches the maximum threshold of 120 days of rental, the owner will receive an email or an alert on his Internet account informing that his/her schedule is closed and the owner won’t be able to receive the new reservations. 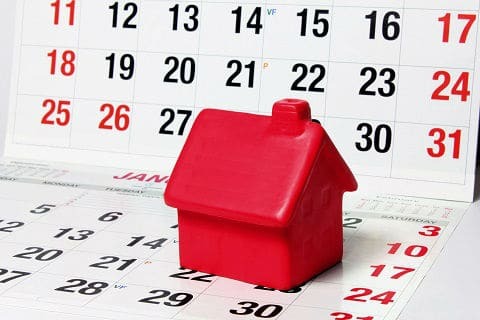 In order rent for more than 120 days, the house has to be listed as a second home and the owner must make a prior request to the town hall of his city. If the landlord publishes an advertisement which exceeds the 120 days a year without authorization, he/she risks a fine of 10,000 euros per house. As for the platform that does not cancel the offer, it incurs a penalty of 50,000 euros per unit. For the owners who do not indicate on their offer the declaration number imposed by the cities of more than 200.000 inhabitants, a fine of 5000 euros is also envisaged. It remains to be seen what fate will be reserved for other cities knowing that the law prohibits renting his principal residence for more than four months a year throughout France. Anyway, here is a new restriction that should encourage fewer and fewer homeowners to rent their homes. A recent study published by Asterès shows that in Paris, a rental on Airbnb is more profitable than a conventional rental from 126 nights a year. In other words, beyond the legal threshold. If you’re thinking of buying a property in one of those cities why don’t you browse our property listings below? The properties we advertise are not affected by the Airbnb block and in most cases, the yield is guaranteed and management hassle free.